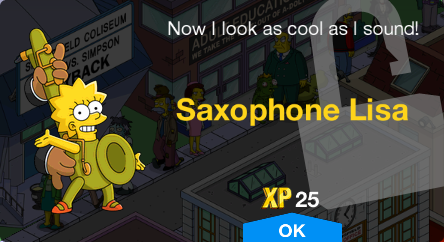 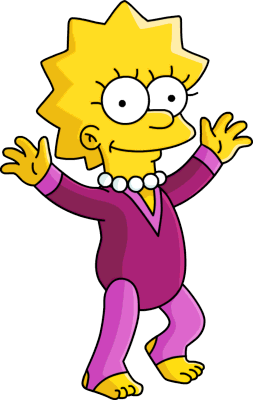 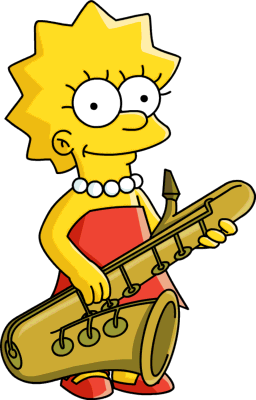 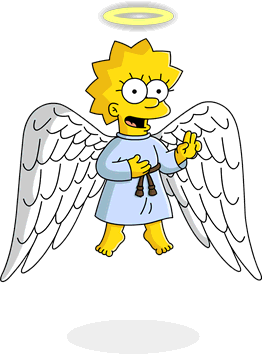 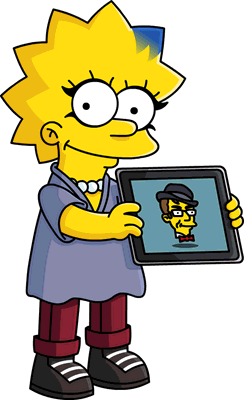 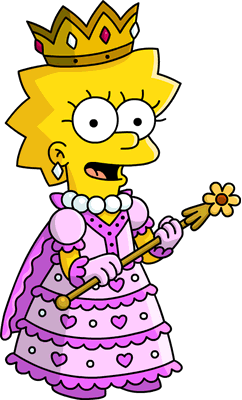 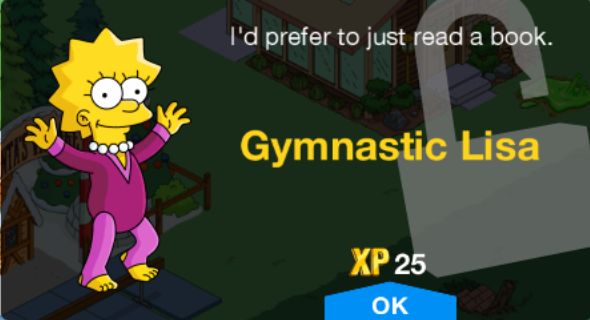 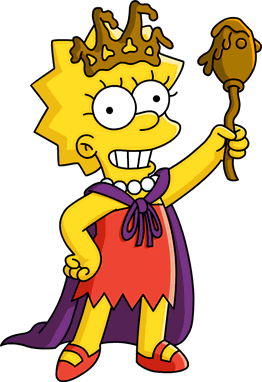 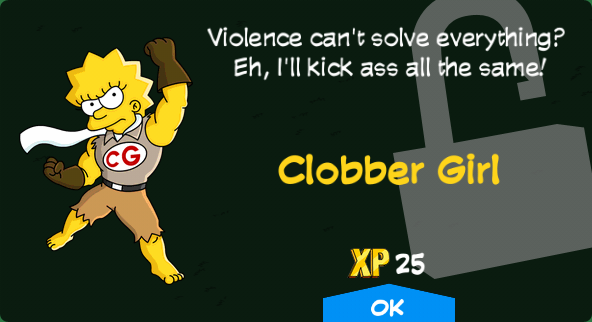 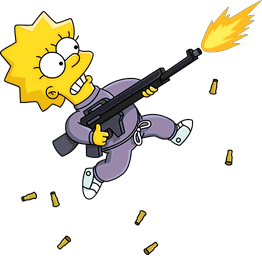 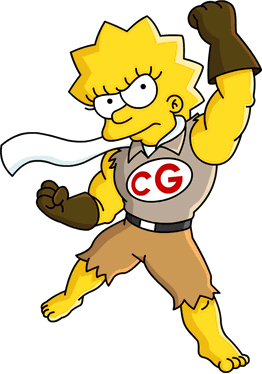 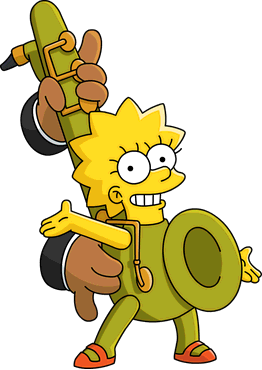 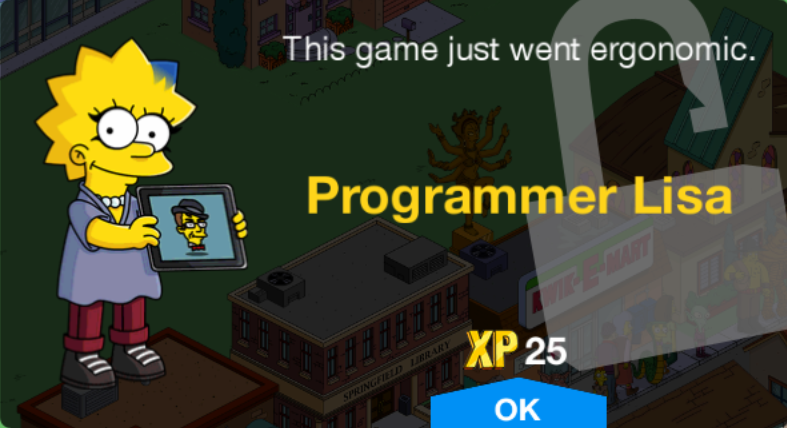 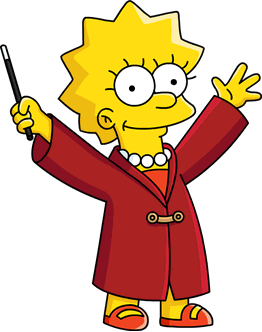 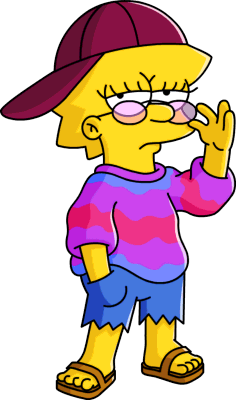 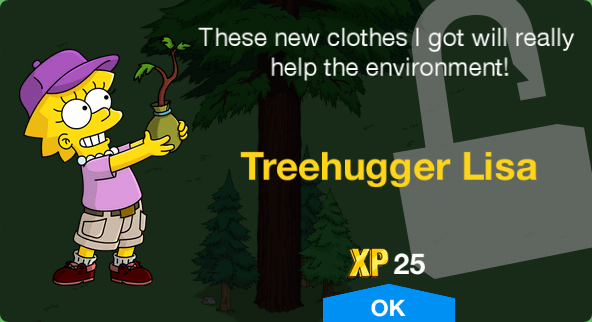 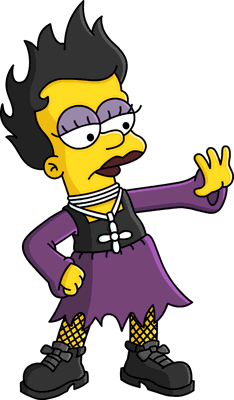 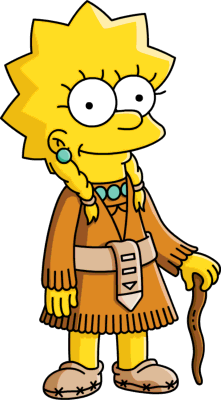 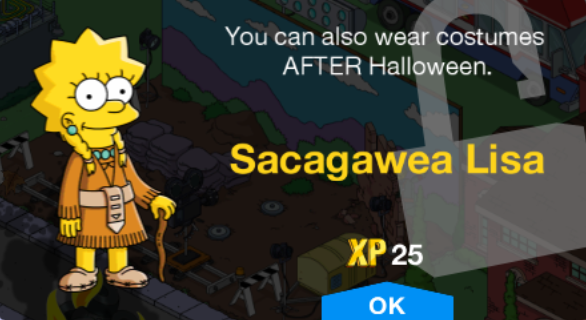 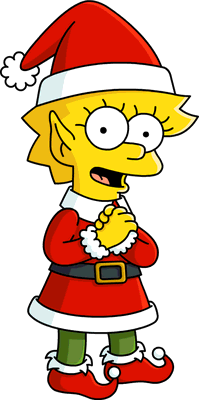 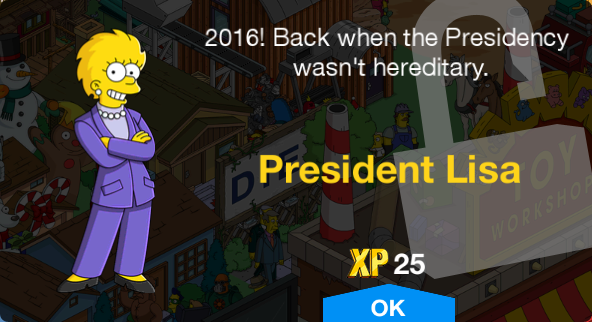 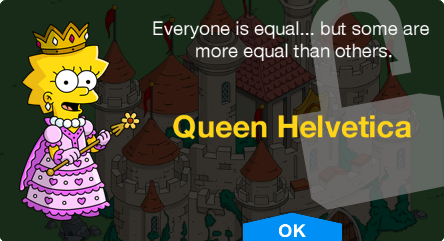 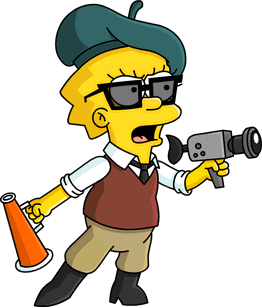 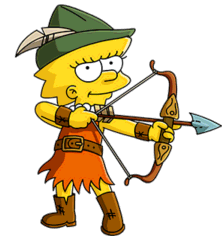 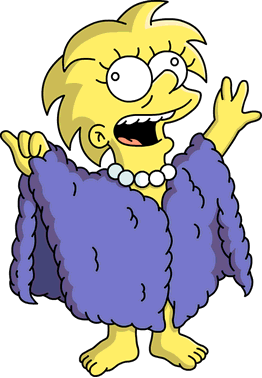 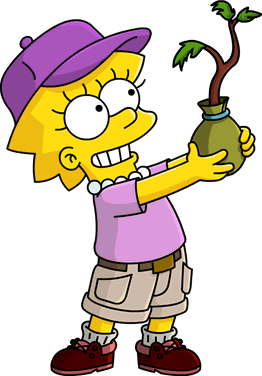 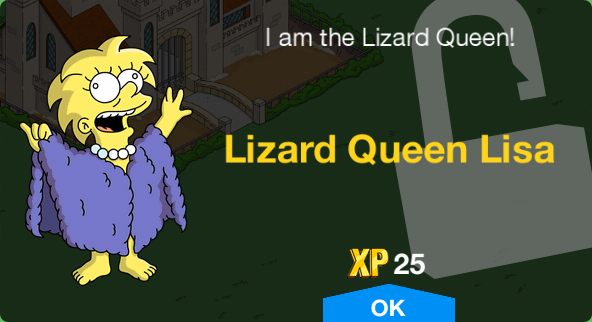 Lisa Simpson in The Simpsons: Tapped Out. 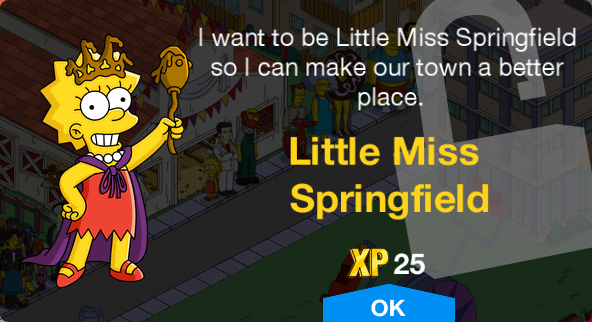 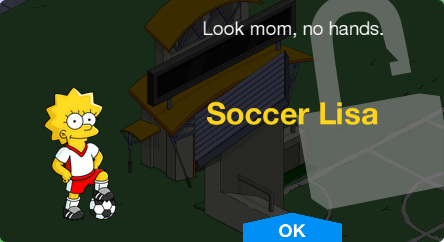 This section is transcluded from The Simpsons: Tapped Out characters/Springfield Games. 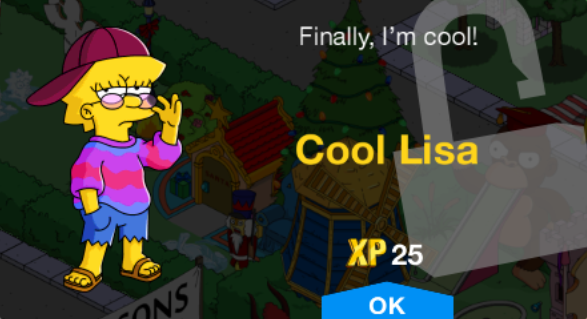 To edit it, please edit the transcluded page. 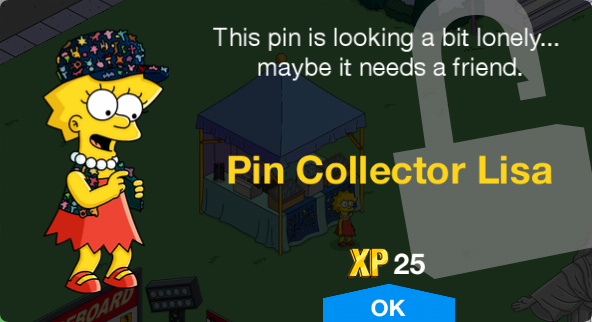 This section is transcluded from The Simpsons: Tapped Out characters/County Fair 2017. 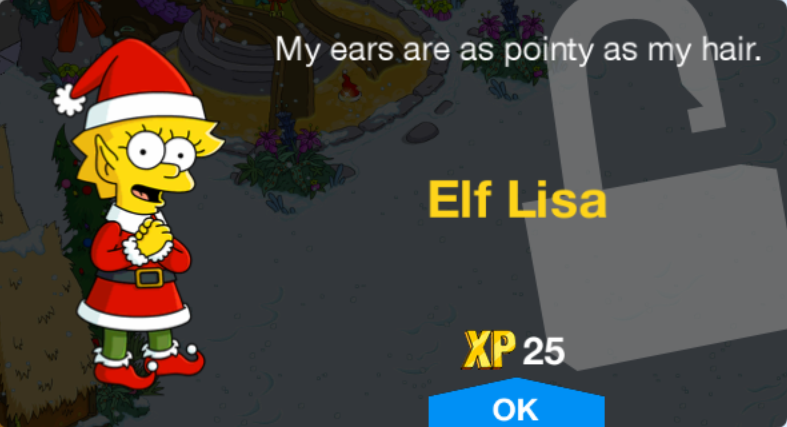 To edit it, please edit the transcluded page. 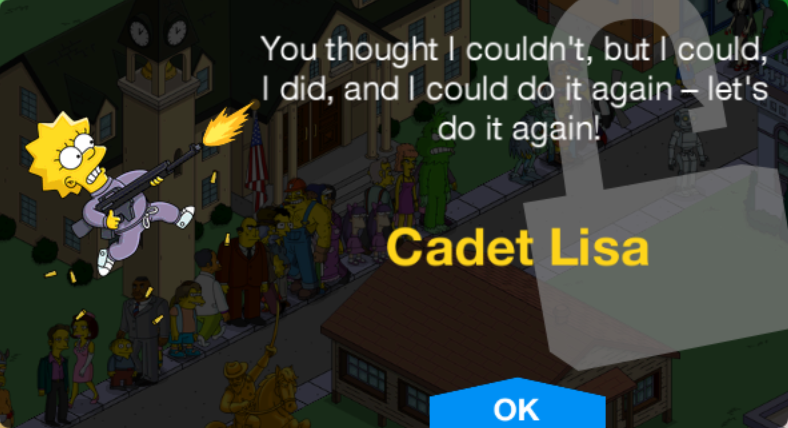 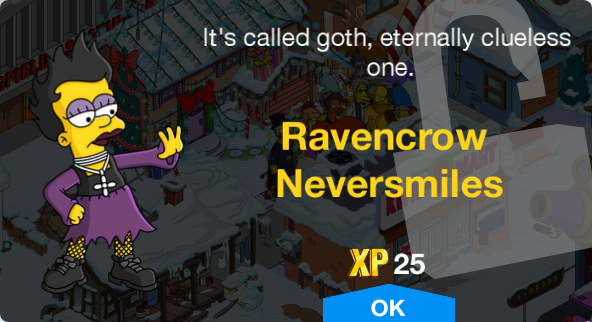 This section is transcluded from The Simpsons: Tapped Out characters/This Thanksgiving's Gone to the Birds!. 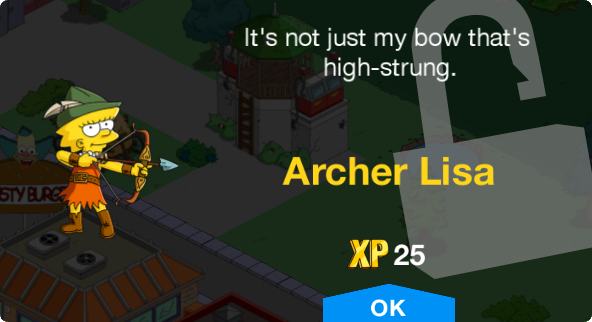 To edit it, please edit the transcluded page. 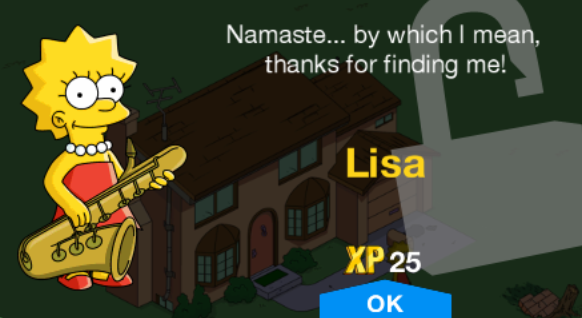 FREE This Thanksgiving's Gone to the Birds! 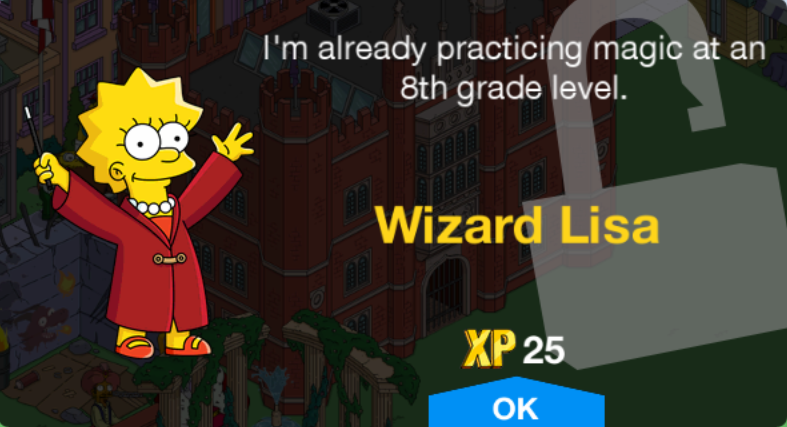 Modified on January 5, 2019, at 11:07.